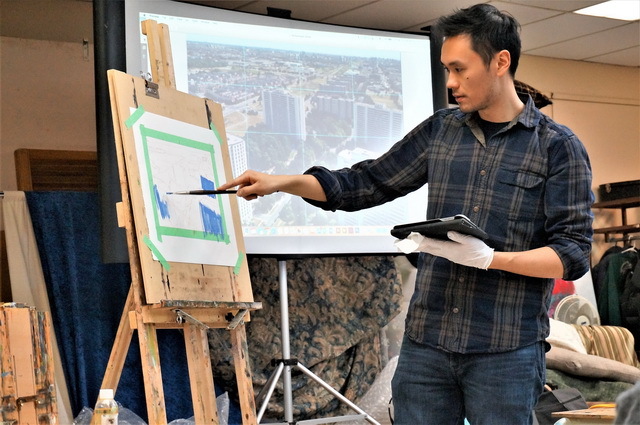 This Friday, the DVAC Club House atmosphere was filled with the youthful exuberance thanks to our guest presenter, Nelson Cheng and his stunning creations of impressionist urban landscapes. 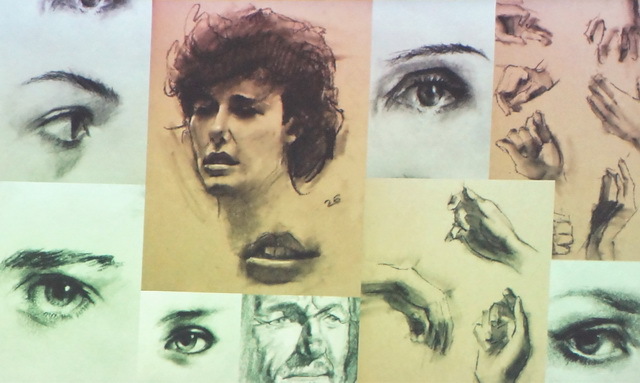 This was his first time presenting/demonstrating and he was anxious, but his carefully planned presentation revealed his life journey of finding himself and the fine art genre he is comfortable with and currently working in, as he is autodidactic – self-taught in fine art. Nelson has relied on books like Alla Prima – Everything I Know About Painting by Richard Schmid, visiting galleries and the occasional video. Although educated in the field of architecture, Nelson realized that painting and creating fine art is his calling. 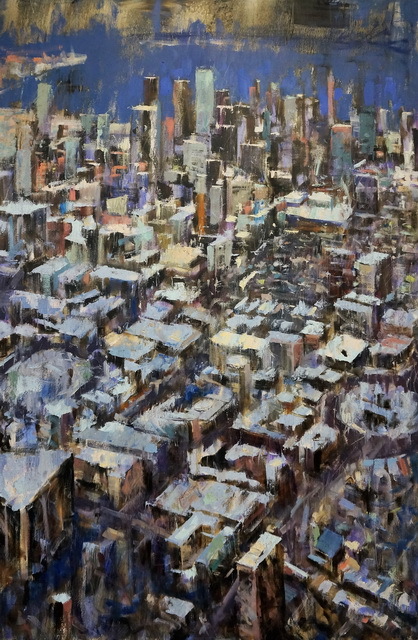 Born in Toronto, Nelson holds a Bachelor of Design Honors from York and a Masters of Architecture from U o T. His eye for design and technical skill is apparent in his urban landscapes, although his venture into fine art started with sketching in graphite and charcoal, attending local portrait and life drawing sessions. Realizing that he had some natural talent, he decided to add colour to his work and invested in some oil painting supplies. 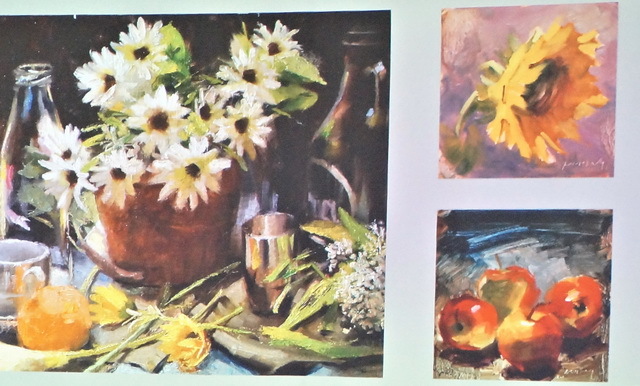 A number of books and videos drew him to painting still life and then proceeded to plein air. It was his discovery of the joy of outdoor creativity that eventually led him to painting urban landscapes and architecture. Back to his roots and education. It was here that he also switched to acrylics due to their flexibility and speedy dry time. 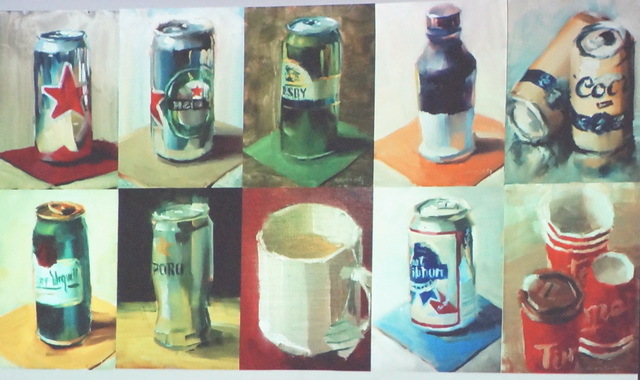 Nelson’s demonstration was insightful, as he described each step of his process. Although he spends a good deal of time exploring the city, he often uses reference photos of his own and from the internet taken from balconies and rooftops. 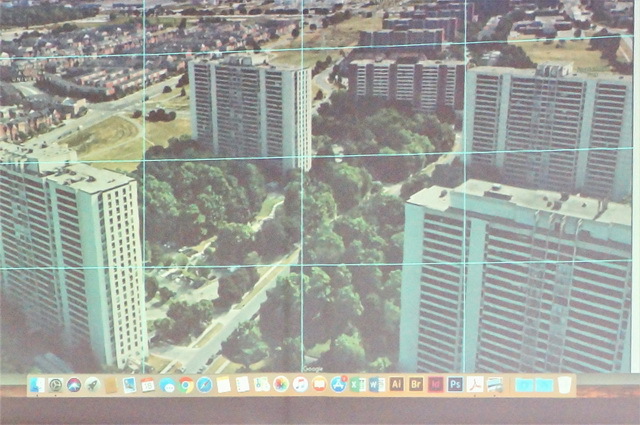 Once he has selected an appropriate pic he applies a grid (link for a grid app provided below) in order to reproduce his impressionistic version of the urban landscape. Using a red pencil he sketches the buildings, trees and roadways and then applies the colour paying particular attention to values and balance. His style is loose but calculated and the result is a landscape that leaves an impression of community in just a few blocks. It is amazing how he makes a few old apartment buildings look so good. 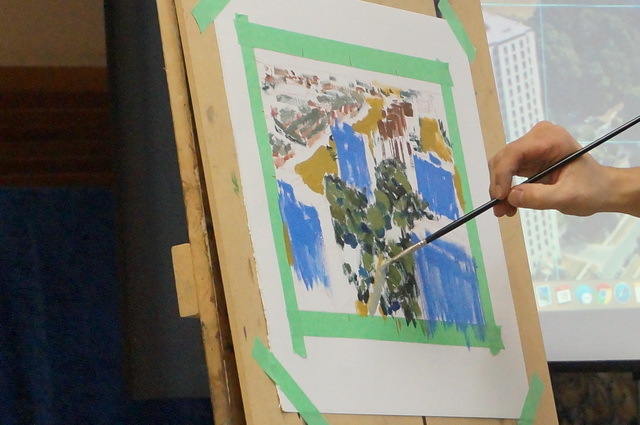 We at DVAC, feel confident Nelson will do well in his artistic endeavors and are hoping he will return and conduct a workshop sometime in the near future.